With winter coming a tad late, it’s certainly a perfect opportunity to re-witness the beauty of THE NUTCRACKER AND THE FOUR REALMS on Blu-ray once again! Be delighted by Mackenzie Foy‘s breakthrough performance as Clara and marvel in Co-Directors Joe Johnston and Lasse Hallström’s masterful vision set to CGI, right at home! The Film follows Clara, who loses her mother, but is left behind an egg-shaped box of silver which is missing its key. She ventures to find the key and hence begins our fantastical adventure! The Film, made for an audience of today interweaves many elements we have come to love of The Nutcracker legacy, including Tchaicovsky’s Music. The Film sparkles visually and sonically on Blu-ray. We wonder how it looks in 4K! 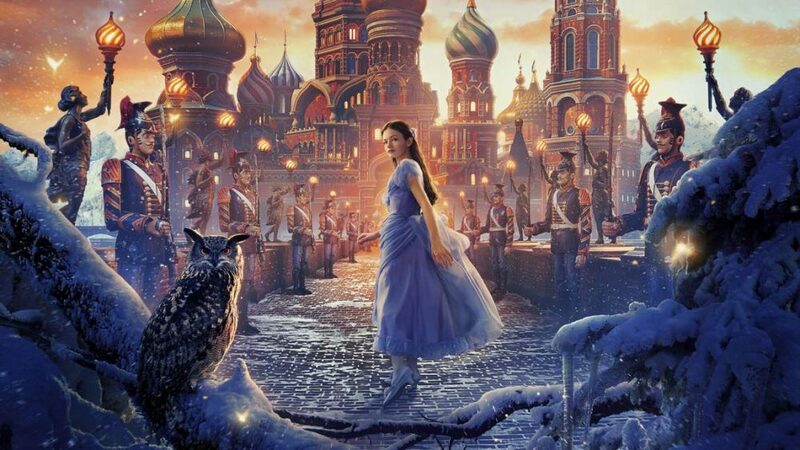 Unwrapping The Nutcracker and The Four Realms – an in-depth look at the magical set design of the Film, by Guy Hendrix Dyas and Lisa Chugg. Music Videos – “Fall On Me” by Andrea Bocelli featuring Matteo Bocelli and “The Nutcracker Suite” by Lang Lang. THE NUTCRACKER AND THE FOUR REALMS is in stores now in DVD, Blu-ray and 4K formats!